Canada’s e-commerce market is booming and serious growth is on the horizon. If you’re looking to grow or expand your business, diving into (or deeper into) Canadian e-commerce may be just the ticket. To offer you more insight into the booming Canadian e-commerce market, we spoke with Lindley Graham, Director of Parcels and e-Commerce Enterprise Marketing at Canada Post. In the Q&A below, Lindley shares her best research-based insights into the current and prospective e-commerce landscape in Canada. Lindley, and other experts like her, regularly share their insights into e-commerce trends at Canada Post’s exclusive event series for growing e-commerce businesses — GROW. Take your e-commerce business to the next level. Sign up to learn when GROW is coming to your city! Thank you for joining us today, Lindley. Please tell us, why do you think e-commerce holds a great opportunity for businesses in Canada? The simple answer is that it’s one of the biggest growth areas for Canadian retailers – by far! Our findings from the Canada Post Parcels Data Insights show that e-commerce grew in Canada by 12%, year over year, in the second quarter of 2018. Stop and think about that for a second – if your business grew by 12% in just one quarter, you’d be doing backflips. Indeed we would! So, it seems that Canadians are doing a lot of online shopping these days. Can you tell us a bit about who’s buying? A recent exclusive Canada Post shopper survey showed that 80% of Canadians are hitting the “buy” button. What’s most interesting though is who’s doing the shopping and how often they’re doing it. In this same study, we monitored how frequently Canadians are making online purchases. What we’re seeing is that first-time shoppers are turning into what we call occasional, frequent, power, or even hyper shoppers at a faster rate than ever before. Shoppers that dipped their toes into the online shopping kiddy-pool in years past are now fully immersed and doing laps in the deep end. This is evidence that the Canadian e-commerce market is maturing and evolving. Our research shows that there are 3 key shopper groups that make up the bulk of online purchases in Canada – known to us as Frequent, Power, and HYPER+. These groups make more than 7 purchases a year and represent approximately 18% of online shoppers, but account for 58% of total online purchases – which is a bit mind-boggling! These shoppers are key to the true growth potential of Canadian e-commerce. 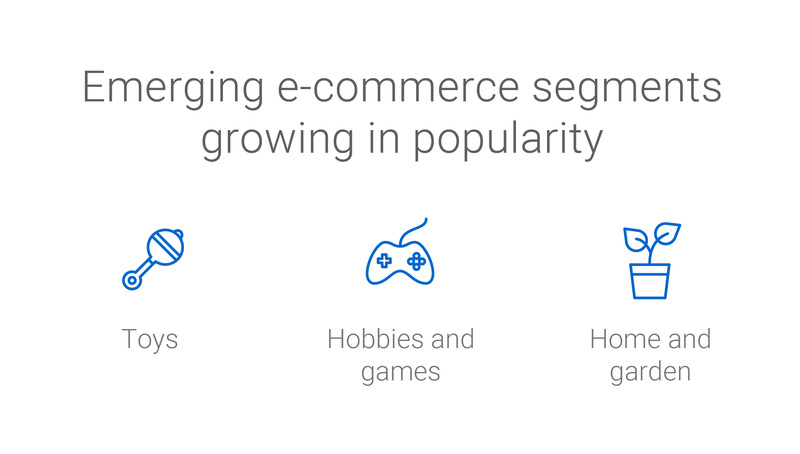 The more shoppers you have in these categories, the more revenue you’ll see. They sound like great customers! So, now we know who’s shopping. Are there any trends that speak to when they’re shopping? Not surprisingly, from Halloween through the holiday season, and even into early January, we are seeing a lot of purchases being made online. We’re also seeing spikes in other hot shopping periods throughout the year. Back-to-school season is a great example. It’s always been a high-volume time for retail storefronts, and these days we’re seeing a lot of that shopping happening online. New holidays, like Amazon’s Prime Day or Singles Day in China, are also having a tremendous impact on e-commerce here. Ultimately, it’s important for Canadian retailers to keep in mind that seasonal spikes happen frequently throughout the year, and to ensure that they are prepared for them. Definitely. With that in mind, what are these online shoppers spending their money on? The short answer is: a lot of things. The longer answer is that shoppers are spending more on a wider range of products. They’re becoming more comfortable with spending across traditional segments online – like fashion or consumer electronics. As online shoppers continue to open their wallets to non-traditional segments, we’re going to see more merchants stepping up to the plate and broadening their product portfolios. Wow! So, it seems like it’s quite worthwhile for retailers of all sizes to take a hard look at the e-commerce opportunity in Canada. It sounds like it’s broadening and showing no signs of slowing down. Definitely – and the potential for growth is massive here. What would you say are the key things about e-commerce in Canada that Canadian retailers should keep in mind? A customer-friendly e-commerce experience is crucial for success here. It’s already critical and will only become more important over time. Shoppers are becoming more experienced with every purchase that they make. The more they shop, the more their expectations for that shopping process are going to evolve and rise. Clear communication from retailers to consumers is also a must. Shoppers want to know upfront how much their purchase will cost them, when and where they’ll receive it, and feel confident that they have convenient ways of receiving it and returning it. This might sound like a lot of information to digest, but Canada Post has great resources available to merchants that can help demystify e-commerce. Thanks for pulling the curtain back a bit, Lindley. It sounds like there’s a lot of opportunities in e-commerce right now! Contact a Canada Post representative to understand how your business can leverage our e-commerce resources. 1 Canada Post. 2018 Canadian Online Shopper Study, CPC 18-200, April 2018.